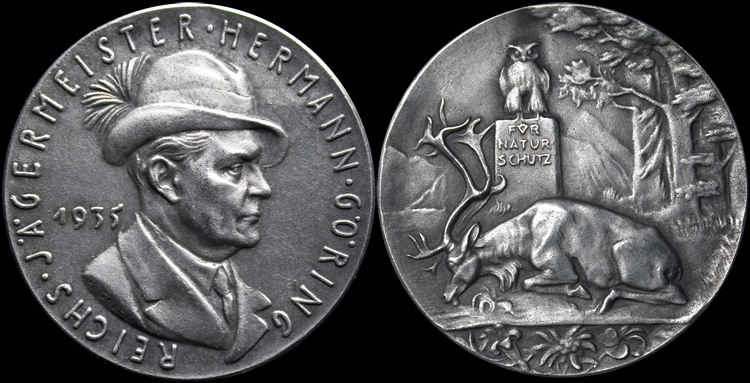 Obverse: Göring bust, face left, wearing hunting hat. Reverse: Reverse depicts scene in reservation. Inscription on stone "For wild life preservation." We have XRF'd (X-Ray Fluorescence) this piece to confirm metal content as 900 fine silver.